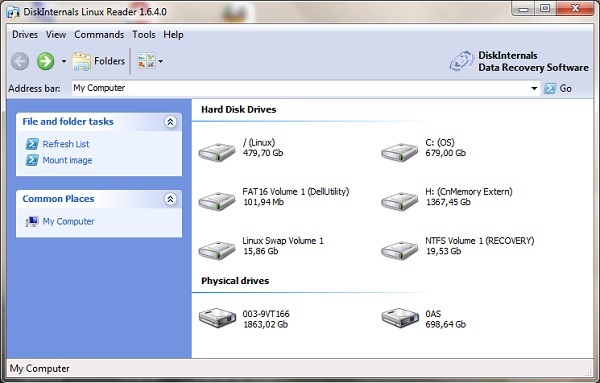 Linux partitions are usually not visible under Windows operating systems. While it's not recommended to write on a Linux partition from Windows, you can read files from there without too much of a great danger. However, a tool is needed for that - an example for that is DiskInternals Linux Reader. To read or save files to a Windows system, just double- or right-click the item and select the appropriate action!